Upgrading your front door can dramatically Enhance the front of your property here is a Modern and Unique Bloomberg C Design; Composite Door in Black, with Simplicity Glass Design within the Door panels, and matching Side. Simplicity Glass Design is a Diamond Bevel Design, with incorporated Textured Glass and Leaded Pattern, which offers a contemporary, fresh style. 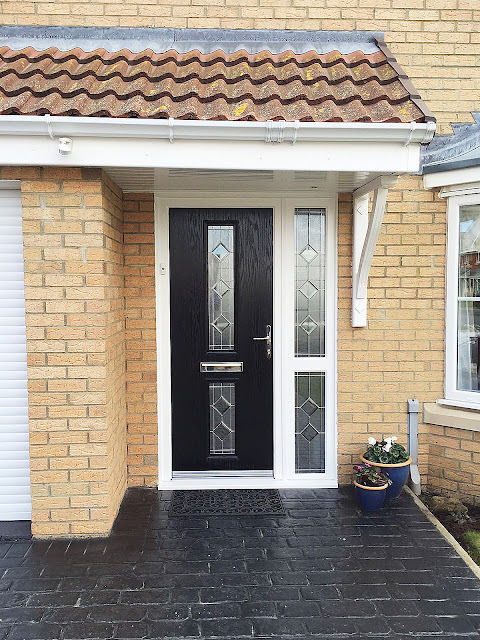 Black Composite Door, with Chrome Fixtures and Fittings with Simplicity Glass design. 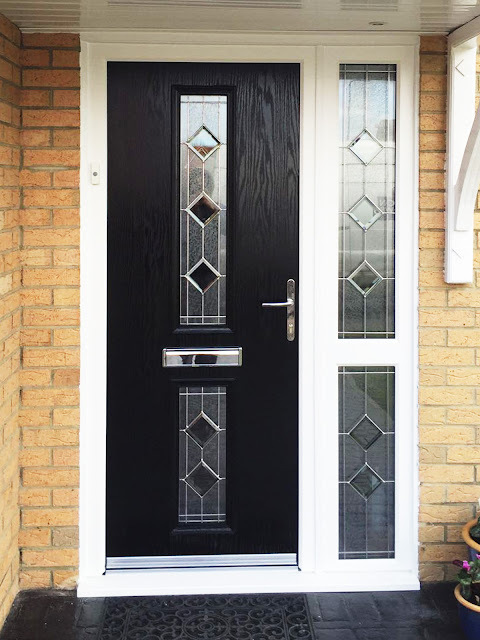 Black Bloomberg C Composite Door, with Simplicity Glass design.